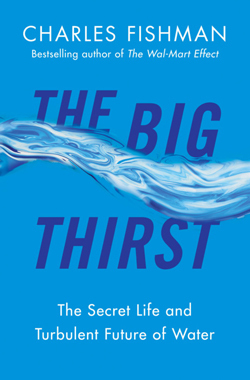 In this installment of “The Big Thirst,” the author and Fast Company writer explains why one oft-used statistic about the scarcity of water is misleading. Fact: We hear all the time that “only” 2% of the water on Earth is fresh and available for human use–only 1% if you exclude glaciers and polar ice caps. It’s true, it’s just not very meaningful, and it’s misleading. Of all the tired, constantly repeated statistics about water–the number of people who don’t have clean water (1 billion), the number of people who die each day from tainted water (9,000)–this “only 1% available” number may be the most threadbare. It’s used everywhere from the National Geographic‘s interactive water availability map to the U.S. Geological Survey’s student water education pages. About 97% of the water on the surface of the Earth is in the oceans. But the oceans aren’t a static pool of unusable water–they are a vast desalination system, making water for human use every second of every day. The ocean and the atmosphere, with the help of the sun, are moving around volumes of water that are truly stupendous–measured in a standard unit rarely heard outside the world of geology and atmospheric science: the cubic kilometer. That “only 1%” figure is designed to galvanize us. But if it ever struck people as dramatic, it’s lost it’s power. As well it should. A single cubic kilometer of water–literally a cube of water 1 km on a side, which would cover 250 acres and be 1,000 feet taller than the tallest skyscraper–one cubic kilometer of water is 264 billion gallons. That’s a lifetime supply of water for 70,000 people. And the ocean’s evaporate a cubic kilometer of fresh water every 72 seconds, 1,200 cubic kilometers of fresh water a day. That’s 45,000 gallons of fresh water a day for every person on earth, just in evaporation from the oceans (two full swimming pools’ worth). Each day’s evaporation joins an incredible river of 12,900 cubic kilometers of water already floating in the atmosphere, as thunderheads of the faintest morning mist. That’s more water whirling through the atmosphere than sits in four of the five Great Lakes combined (Michigan, Huron, Erie and Ontario). Not to mention, of course, that we’re rapidly learning to regard salty water of all kinds as “fit for human use” by desalinating it ourselves. In fact, even if you use the “only 1%” of water on Earth available for human use figure, that comes to 500 million gallons of water for each person–a personal lake of water covering 50 acres and 30 feet deep. Of course, if you live in a drought stricken village in Africa, the fact that the globe is holding 500 million gallons of fresh water for you isn’t useful–it’s a taunt. As always with water, it’s not a question of whether there is enough, it’s a question of where the water is, and where it is in relation to the people. There is a much better way of understanding how reliant we are on the water on Earth, and how little of it there is. 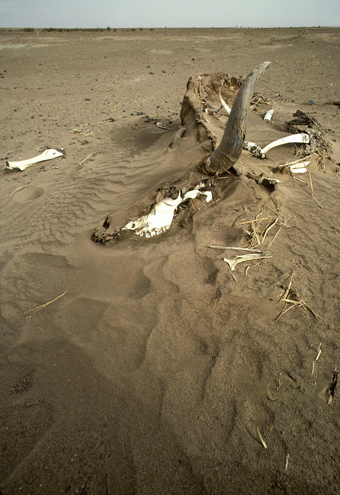 In fact, in terms not of people but of the scale of Earth itself, our planet is a pretty dry place. If the Earth were an apple, all the water on the surface would form a film half the thickness of the typical apple peel. Or, in terms we suburbanites can appreciate, if Earth were the size of a Honda Odyssesy minivan, all the water on the planet would fit in a single half-liter bottle of Poland Spring, in just one of that van’s 13 cupholders.